Blue Water Day SPA always amaze us not only with the kind of massage and services they give to their clients but also with the lineup they have as their ambassadors. 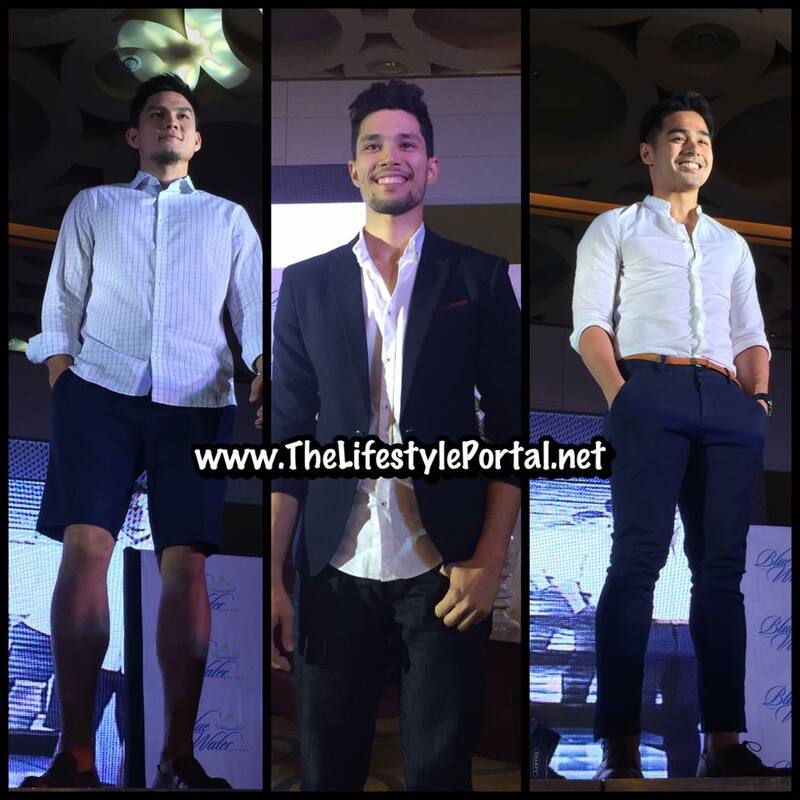 In April 5, 2016 in Luxent Hotel, Quezon City, celebrities and personalities from the different fields graced the event as Blue Water Day SPA introduced their new sets of models. Well, we can say that this establishment has the power to bring the different stars from the two rival networks as they got the brightest stars from Kapuso and Kapamilya networks as their endorsers. From the Kapuso network, they introduced their male celebrity endorsers namely Aljur Abrenica, Mike Tan, Ervic Vijandre, Fabio Ide, and Benjamin Alves. From the Kapamilya on the other hand are the female celebrity endorsers namely Nikki Gil and the Chinita Princess, Kim Chiu. The Kapuso hunks ramp on the stage while the Kapamilya ladies serenaded the guests present on the event with lovable songs - Nikki sang "You made me Stronger" while Kim sang her hit, "Mr. Right." Aljur on the other hand gave the audience his version of a Maroon 5 hit. Blue Water Day SPA also introduced the hot models from Mercator which includes Amadeo Leandro, Sam Ajdani, Philippe Escalambre, Mark McMahon and Brent Javier. They also have on board - athlete Anthony Semerad and Ms Universe 2013 3rd runner up Ariella Arida and Miss International 2014 Bianca Guidotti. 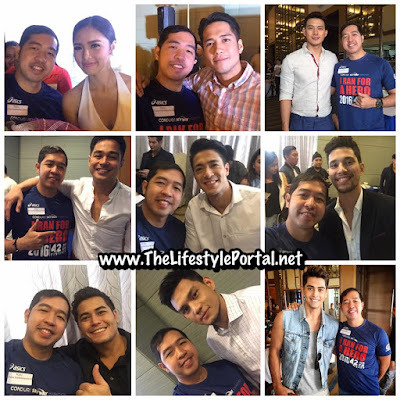 Each endorsers promotes the different services of Blue Water Day Spa. Nikki Gil and athlete Anthony Semerad promotes the Couple Treat’s- foot pampering and relaxation massage. Ms. Universe 2013 3rd runner up Ariella Arida endorses the Bio-collagen facial treatment. For Bianca Guidotti and Ervic Vijandre, they both endorses the Essential Balancing Facial treatment. The Mercator models endorses the Rivatashape treatment – to tone and sculpt the body and burn those cellulites. For Aljur Abrenica, he endorses the Traditional Filipino Massage- a two hour massage using the Filipino “hilot” method. And for Kim Chiu, she endorses the Twin Touch Massage aka Balinese massage. The Balinese Massage or the so-called Four Hand Bali massage is their new service from Bali, Indonesia. The massage requires two spa specialist to do the four hand Balinese massage. This massage originates from Spa Sekar Jagat, a local spa in Bali, Indonesia. The Twin Touch Massage is a classic Balinese body massage using the thumb and palm through long strokes and pressure points to relieve tired and aching muscles. The Twin Touch Massage or Traditional 4 Hand Balinese Massage is also included in Blue Water Day Spa Summer Promo of 50% off, this promo runs til May 31, 2016. Since 2013, I'm always part of the Blue Water Day SPA ambassadors launch. And I love to meet and mingle their fresh new faces and bodies every year!